For Estonians, similarly to many other peoples, the German occupation (1941–44) stood for massive relocations of people that stemmed from the ethno-political aims and military needs of the National Socialist regime. The evacuation to Estonia in 1942–44 of Estonians who lived in areas to the east of the Estonian border – in Ingria, the region beyond Lake Peipus (the former county of Oudova), and the Luga River and Pskov area – is the focus of this article. This was an operation to bring ethnic Estonians who had emigrated to Russia before World War I back to their ancestral homeland. According to the plan of the head of the German SS and Police Heinrich Himmler, the approximately 80,000 Russians who lived along Estonia’s eastern border were to be settled to the east as an element foreign to Estonia both racially and in terms of their mentality and to replace them with the Estonians living on the eastern side of Lake Peipus. 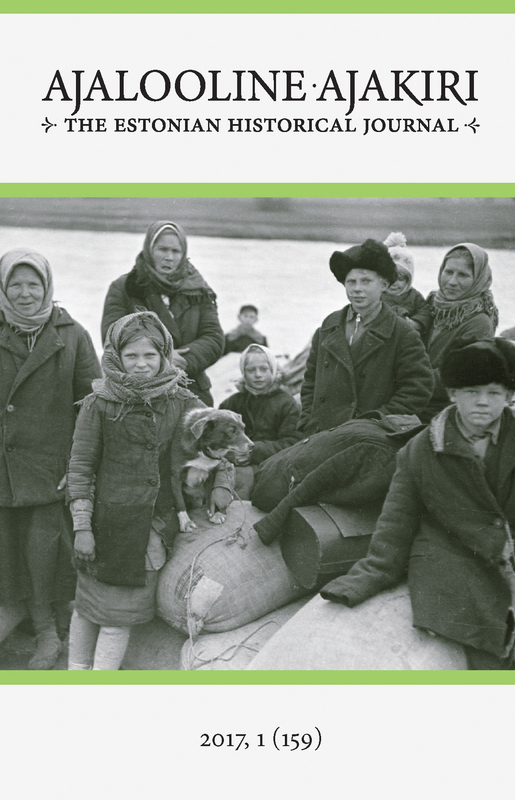 To this end, the Germans, Estonians, Baltic Finns and minorities of other origins living in Russia had to be registered first so that they could be resettled in Germany, Estonia, Finland or elsewhere. The registration of ethnic groups that began in October 1941 was completed in Ingria in February 1942. More than 81,000 persons were registered, among them over 12,000 Estonians. Registration continued in the Oudova area and elsewhere in 1942–43. The “yellow card” issued to registered persons permitted them to resettle. The evacuation of Germans began in January 1942. A while later, Estonians also received permission to relocate into Estonia via Narva. This initially took place on a voluntary basis and by the means of the people themselves. The organised extraction of Estonians began in the summer of 1942, while the more massive resettlement took place in 1943. Above all, difficult local conditions, especially hunger, frequent attacks by partisans, and the high-handed behaviour of the German authorities, forced the inhabitants to leave. Yet since there was a great deal of uncertainty concerning what lay ahead, many people were hesitated to leave. The situation changed in 1943, especially in the latter half of the year, when an offensive of Soviet forces was expected in the Leningrad area. On 21 September 1943, the supreme commander of the rear area of Army Group Nord Kuno-Hans von Both gave the order to implement Operation Roboter. According to this plan, not a single “person who could be put to use” was permitted to be left behind. Four routes were prescribed for the evacuation. A large number of people were brought across Lake Peipus on barges. The forcible evacuation of minorities that began in September was followed by the evacuation of local Russian inhabitants in October, which was carried out violently and at an accelerated pace, causing the inhabitants to flee to the woods en masse. Approximately 30,000 Russians were brought to Estonia in the course of this operation. Approximately 24,000 Estonians made it to Estonia in 1942–44. Most of them were put to work in agriculture. While the first Estonian resettlers were permitted to bring as much livestock, grain and property along with them as their means of transportation allowed, those who came later had to settle for bringing a few pieces of hand baggage. There was not enough food or places to live in Estonia. Those evacuees whose relatives invited them to stay with them were in a better situation. Most evacuees who had not found any relatives were housed in camps, from where they moved around chaotically looking for work and shelter, thus arousing fear in the local inhabitants of the spread of contagious diseases and annoyance due to the begging that ensued. Although farmers desperately needed a helping hand, the refugees often proved to be unreliable. After the Great Terror of the 1930s, in the course of which Estonians in the Soviet Union were murdered on the basis of their ethnic attributes, many regretted that they had not opted to return to Estonia in the 1920s. The dream of passage to Estonia came true in 1942–44 in a rather unexpected way, yet a number of disappointments were in store. The general attitude of Estonians living in Estonia was standoffish towards them as people who had come from “over there”, or the land of the Soviets. Contacts between families had been severed in the 1920s and 1930s. Attitudes, prejudices, fears and the years spent apart generated distrust and estrangement, which in some cases persisted for years. The evacuation of Estonians also meant the final collapse of the Estonian villages and the cultural landscape in Northwestern Russia. About ten thousand Estonians still lived in the oblasts of Northwestern Russia in 1989.